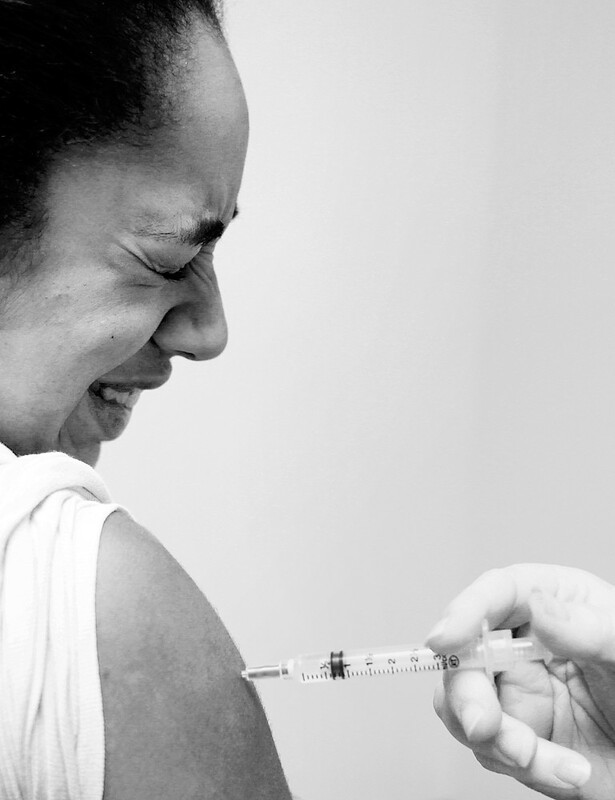 Getting a shot of someone getting a flu shot is a little trickier than you might think. Sometimes, you’ll be in such a position that you’ll get the needle but not the person’s face, or the person’s face but not the needle. Or, sometimes, you’ll get the person and the needle while the person gets the needle. © 2011 by The York Daily Record/Sunday News. Jayda Trust, 15 of York, gets her flu shot administered by nurse Debbie Stoops at the York City Health Bureau office on Tuesday, Dec. 20, 2011. Oh goodness, this gives me the willies. Well done.